One of the most alluring aspects of Resonance or Holographic Repatterning is how our current experiences are mapped back to energy patterns of either the chakra or 5 element/meridian systems for information that has eluded our conscious awareness but vibrates in our energy field just the same attracting what we don’t want in our life – more misery, pain or problems of similar patterns. The muscle checking tool can over-ride your ego and then take you to the place in your inner hologram where change is ripe for happening. Combined with a repatterning protocol the information revealed is almost always surprising, and alters our perception for a more coherent response to life. In the Life Cycle Repatterning (from the Chakra Repatterning book by Chloe Wordsworth), we examine a problem currently being experienced in any area – relationships, career, business, work etc and check for the patterns related to the pulsating cycle of the chakras – our life cycle energy. 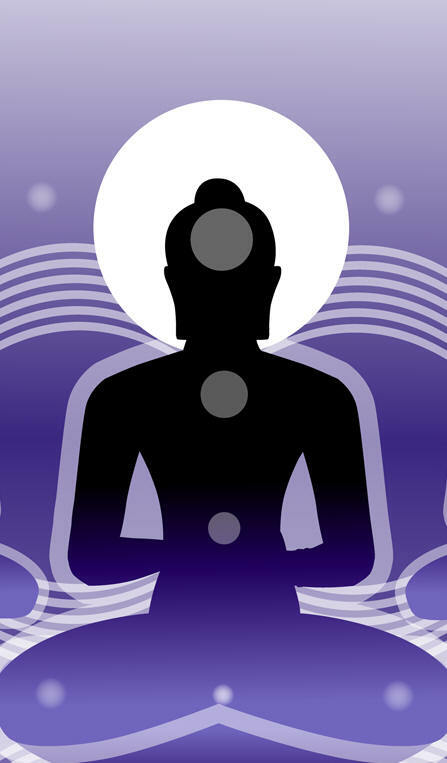 Ether Chakra associated with new beginnings – governs our voice and faith and is the 1st phase. We then move into the Heart Chakra center for intention, ideas and inspiration. The 3rd phase is the Fire Chakra for action that gives us the drive, power, and enthusiasm to put our intentions, goals or ideas from the heart chakra into action. In the Water Chakra 4th phase our goals and intentions manifest like a baby being born. Finally in the Earth chakra the life cycle is completed. We have experienced the outcome of our intentions and we now celebrate endings or completion clearing the way to start the cycle again at Ether Chakra – new beginnings. If we are prone to avoidance behavior or resist what is happening in any of the phases of the life cycle we in effect start messing with our energy spin cycle. Our energy pulsation will be out of synch and life ceases to be a flow of fulfillment. Avoidance patterns is one of the chief ways we manage to create these kinds of blocks. For example, when we avoid the Earth chakra completion phase – such as an artist who finishes many pieces for sale but is reluctant to part with their creations, we may also experience fear particularly of new beginnings, an inability to know when to stop or being unable to relax and enjoy what we have achieved. That old pattern of not being good enough rears its ugly head. If we avoid the Water Chakra creation phase our boundaries may weaken, we feel uncertain, experience muddy thinking, and our creativity is blocked. Avoidance of action at the Fire chakra level leaves us feeling frustrated confused and sometimes acting inappropriately. At the Heart Chakra level our avoidance leads to a feeling of exhaustion, no ideas, or a feeling that what we want to achieve is impossible and as a consequence we give up. At the Ether Chakra level, we resist new beginnings, have too many new beginnings, or we don’t take time to integrate the last phase before moving on to the next. Look at your New Years resolutions, your annual goals or plans, your current projects and ‘to do’s”. Realize that each one of them has a life cycle related to the chakra pulsations. Technically, your intentions may just be at the beginning phases of Ether and Heart chakra energy but at any stage ask yourself what are you avoiding? Check in physically to see what part of your body feels out of synch when you think about your intentions. It may be a clue to the life cycle phase that needs more coherence and attention. For a personal example I am avoiding a web upgrade. I thought I had to do it all by myself and would stay up all night looking for the right combination of codes that will make my upgrade work. I am feeling cut off from possibility and with reluctance contacted a web developer – no wonder I have not heard back! What might take a few hours has now taken a few months and definitely needs to be addressed in a repatterning! I will let you know. What are you avoiding that will block your New Year’s resolutions, goals or intentions? Tomorrow – what happens if we pre-maturely activate a chakra in the life cycle? Signs to look for to keep your energy flowing. ← Holographic Repatterning for Your Personal Hologram?